The library was as tall as the main building, three stories of endless books. Okay, not completely endless. Damian told her many of the books here were copies, so each dedicant and Guardian could have access to things as needed. And the books were only on the top two levels of the oval building. They sure did like their curves here, instead of sharp corners. The lower level consisted of several private study rooms along the outer wall, and rows of desks in the central area. Still, it was more books than she'd ever seen until now. Endless was relative. The dedicants sitting at the desks didn't look up when they entered, nor did the Guardians, likely mentors, who were paging through texts on the other two levels. And she thought the robe was suffocating. The quiet in here was even more so. She was used to two rambunctious younger brothers--never a moment of silence with them around. She followed Damian into one of the private rooms. It contained a wooden rectangular table, two chairs, one on each of the longer sides, and two gas lamps attached to the walls, opposite each other. No window. Yuck. "It'll be easier for you to start out in here, so as not to have any distractions." No distractions, but she felt like a wild horse shoved into a pen. "I'll be back in a moment with your first text." He closed the door behind him, making the effect of being caged stronger. Sid wondered what was first on the list for her studies. Something boring, probably. Languages were boring, so it could be exactly what she'd been seeking for the last six years. Somehow she didn't think she'd get that lucky. Damian returned and dropped a black-covered tome on the table with the same symbol on the cover that was over the entrance to the House of Portals. "Every precept is in that book." She lifted it--nope, it was not lighter than it looked. "There are this many precepts?" "Well, there's some room in the back for any future rules. We do need to adapt to the times." Sid didn't think the Guardians knew the meaning of the word adapt. "You'll memorize every precept in that book. It will likely take you a good amount of time." "Memorize?" She felt an eye twitch coming on. This book was thicker than the one she had found, thicker than she had ever come across before. And he expected her to memorize it? Guardians and their wretched rules. Damian wasn't fazed by her incredulity. He didn't miss a step. "It's a bit daunting, but to become a good Guardian, you need to know the precepts inside and out. They are important, above all else." Not to her. "When do I get to start learning the script? The one that's on all the gates and the front door." He raised an eyebrow. How did he do that so precisely, so perfectly? "Not until after you memorize the precepts. I'll quiz you on them every morning and every evening. When I feel you've mastered them, we'll move on to the portal language, but not before then." "That's going to take months." Unless it was the image and etchings of the gate on her land, Sid didn't have the best memory. This was going to be miserable. "Probably. Would you prefer being alone to study, or would you rather have me in here?" Alone with her own mind driving her crazy, or with a person who had as much personality as a piece of paper? She never minded clutter in her room back home. And perhaps she could study him a bit while she read these stupid precepts. "I'd like you to stay." "All right." No indication that he cared for her decision either way. It probably upset him, though--he seemed used to spending time alone. "Just let me grab a book, and I'll be back." Sid pulled up a chair and cracked open the tome. Not only would reading and memorizing this be pure torture, but the Guardians could use some lessons in picking comfortable furniture. Months of this, and she'd have a whole lot of cricks in her muscles and bones. Not to mention her impatience would spill over and she'd drown in it. There had to be a way to speed things along, to convince Damian to allow her to learn the script sooner. Damian peeked over the text he was reading to look at Obsidian. She quickly shifted her eyes back to the page--he had felt her gaze upon him even before he looked up. If she kept studying him more than the text in front of her, he'd have to leave her alone in this room. No distractions, and he was clearly a distraction. But he didn't want to leave. He wanted to turn her pages and find out what was written in them, not the book in his hands that he'd read several times already. It bothered him that he couldn't take his mind off of her. And that he divulged his habits of walking in the courtyard at night. He shouldn't have mentioned his studies of the patterns shifting--not even the Council knew he'd done that, as far as he knew. It broke no precept, but it could be another precept waiting to be added to the back of the book. Damian had stopped himself just in time from confessing to experiencing the portals shifting frequently. Not every night, but at least once per week, he'd try to wake those two hours before dawn, sneak down to the courtyard, and witness the magic before his eyes. It was a thrill. It reinvigorated him. Almost like the time he had touched a gate as a child, but it didn't linger. When the shift happened, the magic coursed through him, touching every part of his body, filling him with joy. It pulled his breath from his lungs, and when it was done, the first time he inhaled after, felt like he had been reborn. He knew it was a risk, to be out in the courtyard for a shift. A young dedicant had lost her life once, according to his parents. The gates had shifted, and she stood in a spot where one of them moved to--she had been split in two. It was actually that story that had tempted him out there, drawn him to study the movements. He'd noted down all of the shifts, all of the patterns, paced through each one in the dark for months. Damian knew the mazes better than any other Guardian, he was sure. No gate would cut him in half. "Do I have something on my face?" Obsidian's voice punctuated his reminiscing. Part of him still wandered among the portals in his mind. "Hm?" "My apologies, Obsidian." He returned his attention to the book in his hands, raising it up to block the view of his face. He hadn't intended to stare. "It's Sid." She got up and came around the table, pulling his book down. "Please call me Sid." Damian closed his book. Determined girl--such an odd nickname. "As I mentioned before, it sounds like a boy's name." She placed her fists on her hips. He'd seen this very stance from his mother many times when he had stepped out of line as a child. And a Guardian's child didn't have any leeway to steer off course. "I don't care what you think of it. It's what I prefer." Perhaps they could make a compromise. "What about if I called you Sidi? It suits you better." Obsidian shook her head so forcefully her hair tumbled out of its bindings. "Only my mother calls me Sidi. No one else." Stubborn. He was witnessing the girl he had met on the doorstep of the House of Portals yesterday. A girl with more spirit than her slim form should be able to contain. "Sidi is a pretty name. Why can't anyone else call you that?" Her eyes narrowed to slits. "I already told you." She missed her mother. It had to be hard to accept it, to end all ties with her family. He still saw his parents now and then, when they weren't off guarding other gates throughout Nect. Being born here made it so he didn't have to leave them behind. They'd never been the most affectionate, but they still watched out for him, and he knew they loved him even if they didn't say it. "How would you feel about me calling you Dami?" She leaned forward. "Oh, please no." Memories from his childhood came unbidden. Even Guardian children were cruel when the adults weren't looking, and Dami-Wami was a popular taunt he had to face. That's what he got for being a complete loner, mostly at his parents' insistence--his studies were more important than nurturing friendships. "Dami, Dami, Dami," she said in a sing-song voice. He stood, the book tumbling from his hands. "Stop!" She took a step back, and dropped her arms to her sides. Shock danced on her face, then she gathered herself and offered a sly smile. "I'll stop on one condition." Damian felt like he'd just walked into a trap. She was a dedicant, and he the mentor--she shouldn't be the one pulling the strings. "What?" "Allow me to start studying the portal language." She glanced at her book on the table. "In between memorizing the precepts, of course. I understand their importance, but I'm more likely to remember them if I have something else to break up the monotony." He crossed his arms. "The precepts are the first thing you're supposed to study." "Is that a precept itself?" "No." By the worlds, she was cornering him, he knew it in every fiber of his being. "Then why do I need to learn them first?" Damian took a step toward her. "Because I said so." He'd never heard such anger in his own voice before. This girl was derailing everything about him. She giggled. She had the nerve to giggle. "You sound like my father." Damian pitied her father for having to raise such a willful daughter. "Precepts first then, as you say." She paused, for effect. "Dami." He bent over and picked up the text on the floor, trying to stop himself from doing something detrimental. He'd never hit anyone before, but he didn't want to devolve into shouting or sputtering. Once he straightened, he met her gaze with just as much stubbornness as her own. "I'll think about it. Just stop calling me that wretched name." Thankfully a maybe was enough for her. He took a few deep breaths to calm himself. "It's time for lunch. You may leave your book here, as we'll return after we eat." He placed his book, a little worse for wear, on the table. "After you, Sid." She opened the door, turned to him, and beamed. "Thank you." Anything so Damian wouldn't have to hear that stupid name ever again. Even though, he still thought Sidi was a pretty name and suited her far better. Damian examined his hand, the one Obsidian had held. It was finally morning, and he hadn't gotten a wink of sleep. A mix of regret and puzzlement kept him awake all night. He should have been forthright with the Council, told them of how Obsidian acted, like an eager child who had broken into the candy store. He could always backpedal, go to them now and confess, or claim he didn't notice anything until he dropped her off at her room last night. He rubbed his hand, but that didn't take the tingling away. It was as if he had gotten too close to a gate, brushed it accidentally. Now that he thought about it, his lie of omission about Obsidian wasn't his first. Damian had touched a portal once, and not by accident. He'd been too curious, his parents' and mentor's eyes off of him for a short time. Eager fingers had traced the patterns in one of the gates that preferred to hide itself, one that grew out of hill that disguised it well. And he'd never told anyone. If the Council had known of his thwarting of the first rule, he never would have become a Guardian. It was the only time he'd ever broken a rule, until now, and he had convinced himself long ago that it didn't count since he had only been nine. Too young to know better. But Damian had known better. It had been drilled into him since he could understand words. Here he was again, convincing himself that learning the truth about Obsidian wasn't quite breaking the rules, that it didn't count. And again, he felt the same thrill he had experienced when touching the gate when she grabbed his hand. It wasn't psychological, though. No. It was magic. It had to be. The numb, tingly sensation had lingered long after he had touched the portal, and now the same had happened with Obsidian. How had no one ever noticed? Stupid question. Everyone reacted to the portals, to the magic, differently. He'd always been more attuned to them, more sensitive to their vibrations. Perhaps that was the case with her--her magic was so subtle that not just anyone could sense it. No one of Nect, though, had ever been known to have their own magic. Some claimed the people who created the portals in the first place had their own magic, but those were only guesses, the ancient histories having been buried, mostly by the Guardians. Yet Obsidian existed, and she clearly had something different about her. Damian knew it. He forced himself out of bed, rubbing his hand again on his hip, still unable to shake the prickles cascading through it. It was his responsibility to uncover the truth now, even if he did dread seeing her again, being in the same room with her. She reminded him of his guilt. But as much as Damian didn't want to face her, he felt drawn, just like he was to the portals scattered in the courtyard. Obsidian had fallen asleep before the other two dedicants returned to the room last night. After she had hid her prize, of course--she had managed to rig something so the container stuck to the bottom of the dresser in the back. It was a good thing she had brought some glue with her, as well as the turpentine for when she really needed to remove the book. Not until she knew how to read it. When she woke in the morning, one of the other dedicants ignored her completely, going about her business quickly and fleeing the room without a word, or a smile. No big surprise there. But once the uptight blonde left, the other dedicant scooted over to Obsidian, who was looking at the robe and thinking how hot she'd be wearing such a thing all day. The things she'd do to be able to read that script. "Don't mind Enid. She snubs everyone. Thinks she's too good to associate with dedicants and that no one but her has what it takes to become a Guardian. I'm Ama, by the way." Sid shrugged the plain white robe over her head and froze when she finally caught sight of Ama's face, framed by bobbed auburn hair. She was smiling. True, it was a composed smile, but a smile nonetheless. Thank goodness. Not all of the people here subscribed to the complete lack of emotion she had feared. "Obsidian, but I prefer Sid." "Welcome to the House of Portals, Sid." Her eyes sparkled in the dim light filtering into the window. "Thank you." Perhaps things wouldn't be so bad here if there were more friendly people like Ama around. Sid pulled at the neck of her robe. Ama waved her hand. "I know these things can be a bit suffocating, but you'll eventually get used to it. Here." She rooted around in her top drawer and pulled out some hair pins, then spun her finger to make Sid turn around. In no time, her black hair was neatly piled on the top of her head. "That should help a bit. It's why I keep my hair short." She grabbed Sid's shoulders and turned her back around. "You look lovely. I must be off now--my mentor keeps a strict timetable. I'll be seeing you." She dashed out of the room. The door didn't close all the way. Damian nudged it open, his straight-faced outline filling the doorway. "Time for breakfast." Sid wished she had someone like Ama as her mentor, instead of this unemotional automaton. "I'm ready." They wound their way down to the cafeteria, and Sid experienced the quietest meal in her entire life. She'd think with so many people, there'd be a lot of conversation, but there were only low whispers. Another dedicant served them, and Damian told her she'd have a job of her own soon enough, but not until her initial studies were complete. And then he said nothing else the entire meal. She wondered if she cracked him open she'd find a bunch of gears underneath his skin, like her mother's clock on the mantle. Perhaps she had hoped too much when he agreed she'd make a good Guardian. He was just a dimwit. What else could she expect from someone who was raised by Guardians? After breakfast, Damian led her to the courtyard doors. If she had to face the Council again, she might have to find a way to quickly open a gate and disappear into it. She didn't want to endure Liss's scrutiny, not this soon. But when they stepped out into the courtyard, all fears of Liss's gaze crumbled in Sid's mind. At first, she thought it might be a trick of the eye, but the Council building was clearly much further away than it had been yesterday. She couldn't be sure if the courtyard had simply expanded, or if the portals had also shifted to different spots. Perhaps they played a game of leapfrog in the middle of the night while those in the House of Portals slept. "How?" The word escaped before she could rein herself in. Liss had said she could ask Damian questions, though. This was definitely one she'd like answered. "Sadly, I can't answer how or why." "However, I have my speculations. It could be due to the concentration of portals, the magic playing off of each other. So much magic in one place could destabilize things." Damian stepped up to the nearest gate, close but not touching. "I do know that the courtyard shifts every night, about two hours before dawn. There are also eighteen different permutations. Exactly." Well, then. Guess he wasn't a dimwit. "You counted?" "When your entire world is contained to a few buildings and this courtyard, you find things to entertain you. And the shifting is fascinating. So I studied it." He looked back at Sid, and she thought she saw some emotion seeping into his face. Not quite a smile, but not as serious as his normal expression. A little bit of pride, perhaps. "And walking around the gates when the stars are out is an experience all its own." A statement like that wouldn't come from a machine. "You'll have to show me some time." Damian nodded. "For now, we'll head to the main library, near the west end. Time to begin your studies." And back to serious. It gave Sid new hope, though. There was an actual human being in there somewhere, and she might be able to coax it out. She was here to discover how to read her book, to learn how to open her gate, but there was no harm in adding another goal to that list. Hi, all! 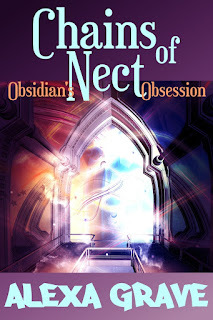 OK, I know, you want the next chapter of Chains of Nect. But I've decided to change when I post the chapters on my blog. First, posting twice per week is getting to be hard, since I need more time to write! Second, by the looks of it, I think Wednesdays would be a better posting day as far as reaching people who may like to read Chains of Nect. The chapters to Wattpad will still be posted every Friday. However, that same chapter won't be posted here until Wednesday. I hope this isn't too much of an inconvenience. I may still have some weeks where I have two posts in a week, since I do have some other content aside from the chapters planned, but that will likely be either Tuesdays, Thursdays, or Fridays (depending on what I'm posting). 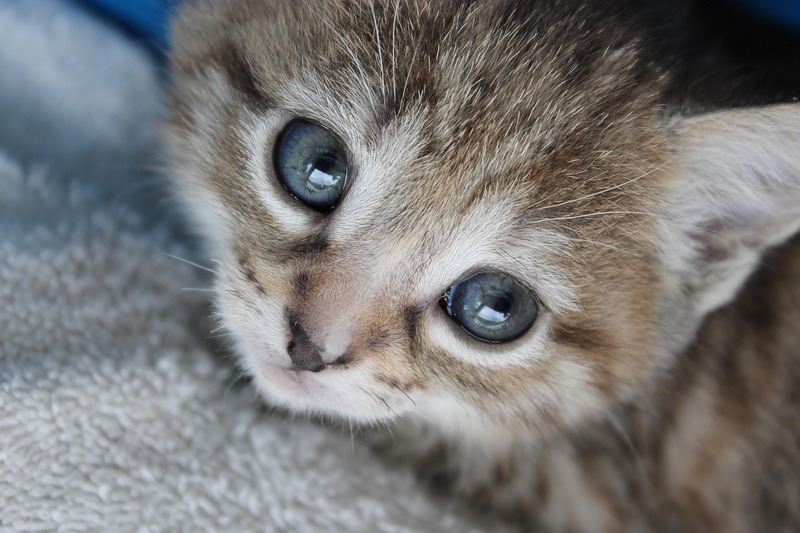 As an apology, I'll leave a cute picture of a kitten below. Adorable, no? Can you tell I have kitties on the brain? Not having any cats in this house is making me a tad crazy (more so than I already am). Perhaps soon I'll have pictures of my own kittens to post. A girl can dream! 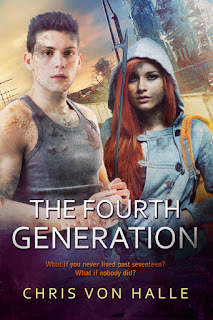 Today Chris von Halle, author of The Fourth Generation, has a guest post for us. If you'd like to learn more about the author, please scroll to the bottom of the article. All writers have different steps for this, and, like everyone else, so do I. Over the years I've learned there's no right or wrong way to approach the act of writing. Actually, that's not true. All the ways other than the way I do it are wrong. Just kidding. But recently I've gotten to thinking about all the steps I personally take before I actually start writing a story. Why? I think it's because I've been at this game for quite a few years now, and it's interesting to see how I’ve evolved. Plus, it can be good for a writer to take a step back and analyze their writing process, not just to see "how far they've come," but also to see if there are any ways they can improve on it. Sometimes you'll be surprised by what you find. Before I continue, I must say that, at heart, I consider myself a pantser. For those non-writerly folk, "pantser" essentially means that you "pants your way through a story"; i.e., you have the basic idea for a story and you immediately plop yourself in front of your computer and start plugging away on it without any clear sense of where you're going with it until you actually go there. When it comes to approaching the act of writing, pantsing is one extreme, and it's totally plausible (remember the "there's no right or wrong way to write" thing). The other extreme is outlining, in which the writer rigorously outlines every single aspect of the characters, plot, etc. before they even officially type "Chapter 1". I learned pretty quickly (okay, a lot more slowly than I wish I had) that being an extreme pantser means TOOOOOONS of revising. Because you just throw anything that comes to mind on the page, that means that ultimately there's going to be a lot of removing stuff that doesn't belong in the story, as well as a lot of adding elements that do belong. And after having to chop out entire sections of my novels, sometimes even as much as half of one, and then rewriting the whole *curse word* thing, I realized it was much better (at least for me personally) to brainstorm a lot more before I jump in and start the actual act of writing. In the past, conceiving an awesome premise would be the catalyst for me to start writing the story. Immediately. And, obviously, a great premise is what a great story needs. But nowadays, once I have that premise idea, instead of jumping to the nearest computer to start writing (my mom, typically found in her home office at her computer desk, is particularly thankful I no longer do this; just kidding), I take a step back and brainstorm, like I said before. Often for weeks or even months. Since I'm a science fiction and fantasy author, my premises usually involve a really cool or unique world or setting, so I start off by heavily brainstorming that setting: how it works, who is in charge of it, what jobs people have in it, what types of clothing people wear in it, etc. I have a document that has a bunch of world building questions and I try to answer as many of them as I can. Usually when I'm in the throes of answering those questions, the idea for a protagonist to occupy that world pops (or sometimes more slowly forms) into my head. This is always a direct result of my brainstorming--it suddenly becomes apparent what person or type of person would have the most difficult experience or, to a degree, suffer the most in this world (sadly, stories are all about suffering; depressing when you think about it that way, huh? Either that or extremely cathartic hehehe). That's when I'll pop over to my character sketch sheet, in which I have a bunch of questions to ask myself about the main character, and I then get to work on really hammering out who this person is. Before I know it, the combination of the world and character lead to plot ideas and the birth of other characters. So then I give the other characters their own character sketch sheets and start to work on the plot. Whoa whoa whoa whoa, Chris!!! I thought you said you were a PANTSER at heart. This sounds like an awful LOT of prep work for a self-proclaimed pantser. And you're right. There's definitely a fair amount of work going on here. But this is about where I stop with the prep work. Well, I first conceive a very bare-bones plot. As in, I only know the inciting event and a couple potential (note: potential) major plot points throughout the story. But that's it. And none of them, of course, are written in stone. (To be fair, nothing is ever written in stone in writing, anyway). But what's nice about all this prep work I've done for my story is that I now have a very strong sense of the major aspects of the book--the characters, the world, and the premise/plot. This way, even though I don't know all the specifics of what's going to happen in the story, I still have a nice roadmap to lead me along with the freedom to "pants" the details or other aspects of it as I go. This satisfies my pantsing nature while making sure I don't, later, have to do an insane amount of overhauling/revising. (Note that I say "an insane amount," because, let's face it, a very-close-to-insane-amount of revising is necessary in writing novels no matter what; um, it's kind of like a major part of it.) This makes the pantser in me a very happy pantser, indeed. 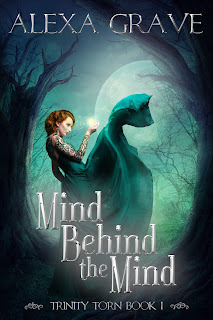 And part of that happiness is attributed to the fact that sometimes I look back at my process and think, "Hmmm…how can I make this whole writing a novel thing more productive and less aggravating for me personally?" And there you have it. That's how I do it. How about you? What's your current approach to writing, and has it changed at all since you first set out to write? Remember that there are no wrong answers to those questions other than the ones I just thoroughly detailed above. Just kidding. Chris von Halle has had many different lives in many different worlds--the near and distant future Earth, other planets, and even other dimensions--and his books recreate his childhood memories of such outlandish locations. In this world and life, he lives in Ridgewood, New Jersey, and enjoys such extraordinary activities as playing videogames, tennis, and basketball, and writing the occasional comic strip. You can find Chris's book, The Fourth Generation, on Amazon, Smashwords, and Kobo. A new chapter is planned to be posted to Wattpad every Friday, and that chapter will then be posted on Born to Write on the Saturday after. Sid had been utterly stupid. The excitement at making it to the House of Portals had overcome her sense. Instead of being on her best reserved behavior with Damian, she had allowed herself to slip, didn't wear the mask she had carefully created. He might have been young, but he was still a Guardian. So when Councilwoman Liss posed the question to him, asked him exactly what he thought of her, her heart dropped out of her chest and splattered at her feet. She made sure not to show it, though--no, she wouldn't crumble now. Whatever he said, she'd fight until they dragged her out. Sid had to learn how to open the gate. The pause between question and answer stretched on. Too long. Then again seconds were too long for her. Answer the question. "As you see here, she'll make a perfect Guardian," Damian said. Sid needed to scoop up her heart from the ground so it could jump into her throat. Perhaps he wasn't as much of a jerk as she thought. But why wouldn't he tell them how she had acted? Could be that his stoic look was a mask of his own. He could be an ally to her in this. And she definitely needed an ally--she wouldn't be able to keep the facade up constantly without cracking. She already felt ready to crack, finally realizing how much more difficult it would be to stay here, in the nest of hornets, than it was to get here in the first place. But she shouldn't jump to conclusions. Even if she needed someone to aid her, to believe what she believed, she couldn't assume anything. He could have other reasons for keeping her actions to himself. Heck, could be he was too self-absorbed to notice anything. That was probably it. She'd watch him though, slip the mask off a bit around him, see how he reacted. No matter what the outcome, she had to accept that she might be alone in her endeavor indefinitely. "Very well." Councilwoman Liss returned her attention to Sid. "You are willing to leave your past behind? Becoming a Guardian means cutting all ties to those you once knew, including your family. Do you accept this?" Sid's mother had collapsed in a puddle of tears when she told her her desire to become a Guardian. She knew what it meant--losing her only daughter. Forever. But Sid didn't intend for it to be forever. It hurt that she couldn't tell that to her mom. She had cried that night, ashamed at making her mother feel that way. The next six years, her mother made sure to spend as much time with Sid as possible, so much at times that Sid felt smothered. But it was the least she could do, knowing the choice she had made wrenched the heart of the person closest to her. "I do," Sid said. She forced herself to not have any shudder in her words--even behind the mask, she felt the tears threatening. Liss nodded. "Please step back by Damian while we discuss." She did so, hoping beyond hope that she had played her part well enough. If she didn't fool them, then she hadn't practiced enough, hadn't prepared for hiding her true self, for delivering the lies without a hint of doubt. Sid glanced up at Damian, but he didn't meet her eyes, just watched the council members converse. Too much to hope for a small smile of reassurance even. If she couldn't succeed at anything else, she had to at least teach him to smile. The minutes ticked by, standing in silence next to the young Guardian. It would be difficult indeed if most of her time would be spent this way. Silence was not her friend. Her father would always laugh and say that she enjoyed to hear herself speak. She'd never admit it to him, but she knew he was right. Finally, after what seemed like hours, but were clearly only several minutes, the council members broke up their huddle. "Come forward, Obsidian." Liss straightened in her chair and placed a tiny stray hair behind her ear. All of these Guardians were so proper, so concerned with perfection. The councilwoman's gray hair was pulled back in a severe bun on the top of her head. No other hair except the one she just put back in its place strayed. Straight-lipped as Damian, too. The other four council members, two men and two women, were just as composed. Sid had to find someone here that knew how to smile and laugh or she'd wither inside. She took her position in front of the council members. "In truth, welcome to the House of Portals, Dedicant Obsidian," Liss said. Sid felt a tension in her shoulders release, then checked herself to make sure the mask wouldn't drop as well. One more step closer. "Guardian Damian will be your mentor and teacher while you're here. If you have any questions or worries, you'll address them to him alone. You're both free to go." Sid inclined her head in a brief bow. She considered thanking them, but gushing would have showed too much of the excitement of her true self. Guess she'd have to wait to squeal into her pillow tonight. She joined Damian, and they left the room in step. As they passed the watcher at the door, he said, "Don't screw it up, Damian. Still can't believe they made you a mentor." Damian glared at the man, so briefly that Sid wasn't sure she actually saw the expression on his face, then turned away and took up a quick pace down the hallway. Sid had to jog to catch up. No love lost between those two. There was a story there. She loved stories. They exited the building, and Sid inhaled the fresh air--much needed after being in the stuffy council chambers. And when she took a lungful of air in, the magic dancing around the portals came with it. She felt it worm its way through her muscles and bones, clinging to corners she never knew she had. Sid jolted. She almost forgot Damian was standing next to her. "No." She knew she should be, as it was close to dinner time, but food was the last thing she wanted after the scrutiny she had underwent. And she wanted to make sure her book was safe. She'd need to find a hiding place for it here--the bottom of her chest was too obvious. "Then I'll show you to your dorm. You can unpack and rest." He took off for the main building before she could reply. She was going to be doing a lot of running to catch up with this one. Like a puppy at his heels. She groaned, and checked to make sure he didn't hear her, but he didn't react. They entered the main building after brushing by the magic of the gates in a winding path, then took the stairs up to the third level. Of course, her room was halfway around the circle. It would have been nice if there was a set of stairs on this side as well, but the Guardians must want peak physical health with all the walking that's required of them. Damian opened the door and motioned her in. At least the room was on the inner wall, so it had a window looking over the courtyard. The outer wall was windowless, which would have drove her to jump off the roof after spending so long cooped up in such a box. "Your bed is the one at the end. Dresser is on the other side of the room. You may also keep your chest at the end of the bed, if you wish. Dedicant robes are already in the dresser for you. There are two other female dedicants in this room, and unless they plan to study in the library, they'll likely come in after dinner. Latrine and baths are right across the hall." And there sat her chest, waiting for her to make sure her treasure still remained. "I'll pick you up in the morning, shortly after dawn, for breakfast and to begin your studies." Sid looked up at Damian and risked taking his hand. "Thank you." She hoped he could hear the inflection in her words, that she was thanking him for more than just showing her to her room. If it weren't for him, she wouldn't even be here right now, but staring at the ornate door with the word that probably did mean doom at the top of it. 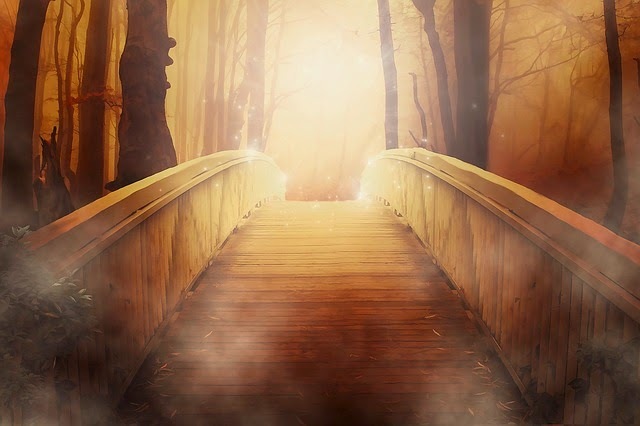 He nodded and pulled his hand from her light grasp. "Rest well, Obsidian." Then he was gone. Sid closed the door and leaned against it. Alone at last, for the time being. She headed for her bed, made of plain, dark wood, simple but sturdy, same as the dresser. Closest bed to the window. She suppressed the urge to peer down at the portals and sat on the edge of the bed instead, next to the pile of neatly folded sheets--she'd make it in a moment. Right now, she had something more important to do. So she tugged the trunk to her and fiddled with the latch. She wished it would have had the same mechanism as the small box buried under her clothes--harder to get into that way, if you didn't know how it worked. Everything still seemed in place, untouched by nosy Guardians. Like the puppy she had imagined herself as, she dug through her things, all the way to the bottom, and fished out a small, rusted metal box wrapped up in a piece of flower-patterned cloth. Sid wrestled with the mechanism until she heard the proper clicks. There it was, safe and sound. She plucked the book out of its compartment. Its magic tickled her fingers, just like every time she had looked at it and paged through it, since she found it. But now, she felt some of its magic stretching toward the window, reaching for the gates below. It called to them, like a lost child, desperate to return home, to be where it belonged. Just wait. A little bit longer. Then your words will be unleashed. I'm not sure if I've talked about this before on my blog. I do know I wrote something up for a guest blog post a few years back, though. So, if I'm repeating myself here, I apologize. Chalk it up to nostalgia. I had a birthday this week (no, I won't tell you my age, but I'm sure if you take what I tell you here and think a little, you can make a decent guess - that doesn't mean I have to fess up), and it made me realize that it's been almost 20 years since I chose my pen name, Alexa Grave. This was years before I even sent anything out, hoping I'd get an acceptance. I was in the middle of writing my first novel (well, now looking back, it's probably more like novella length - 4 years to write the rough draft, too - ha)...one that will never, ever see the light of day. Here's a juicy spoiler, though. Everyone dies by the end. Yes, everyone, including the point of view character (I wrote it in journal style and even took a red pen to show the blood spatters on the final page - yup, laugh at me, laugh hard). Now you can understand why that "novel" will remain in my binder and on my hard drive (the revisions of which I may not be able to access myself because I password protected it and forgot said password, but I digress). I don't exactly remember how the name Alexa Grave came to me. I do remember sharing it in excitement with my few friends. And from that point forward, that's who I was when I wrote, who I still am. Now, the meaning behind the name has grown over the years. I see it as a contrast of the light and dark, the first name being the former and the last name the latter. This also reflects my style of writing - dark fantasy, dark humor even, but it's never completely dark, as there's always that proverbial light at the end of the tunnel (for the most part - clearly not in the aforementioned first "novel"). It's a name that means a lot to me, though. One that I have grown insanely attached to. And this really brings me to the other thing that prompted me to write this post. I've always seen the comments on pen names about how you can use a different name if you're writing in absolute different genres, like erotica and young adult. I've also seen the suggestions that if your career fails under one name, you can rise from the ashes by using a new name. Of course I see these tactics as beneficial for people - they make sense. More recently though, with the indie publishing revolution in full swing, I've been reading a lot of posts in a pretty popular forum, and pen names come up a lot. Many people are of the opinion that you should use a different name for each different sub-genre. Yes, this means one name for epic fantasy and another name for urban fantasy. It's like pen names have become tissue paper. Unlike the first two things I mentioned, I have a hard time finding the logic in this. They claim the audiences are different and will be mad if they really love your epic fantasy, pick up your next book without looking at what it's about, and feel betrayed because it happens to be urban fantasy. OK, I understand different audiences, but the reader has a responsibility of their own to at least read a short blurb before they buy a book. Not to mention, so many traditionally published authors keep the same name and write in different sub-genres. Jim Butcher writes both urban fantasy and epic fantasy, for example. Not only is it a lot more work, managing several names (and I know some writers who do this - my props to them, and the ones I know personally tend to do it mainly because the major difference in genres, not just sub-genres) with having an author presence via website, social media, etc. You also have to rebuild a following each time you start a new name. But one of the reasons I know I could never do this is because of the meaning behind my pen name. Names are important to me. It's one of my favorite things to do when I'm writing - picking out the character names! Because I feel those names should have a layer or two of meaning, at least for the main characters, even if that meaning is only something internal to me. So, I guess it astounds me, how some people can just use name after name, thinking of them out of the blue, in the end only a means to an end and because maybe they sound cool. Like I said, tissue paper. It also makes me wonder what ramifications this might have on future writers. In a decade, will so many names have been used that there will be insane overlap? How will readers then keep things straight if there are several authors with the same name? What will happen to building a following with your name as a brand then? Or will author names become so outlandish just so they can be different from what came before? I already see similar names to mine out there. There's actually an author named Alexa Grace (I don't know if this is her real name or a pen name - I've only noticed her books on Amazon). Yup, only a single letter difference from mine. And I'm sure it will be easily confused in the future (actually it has already been once when someone asked to quote one of my posts in a forum). I guess, in all my postulation and incredulity, what it boils down to is one thing - Alexa Grave will always hold a lot of meaning to me. Of course I can't speak for other authors, but I know my name represents who I am as a writer. And I'll never hide my work behind another name because of that. Sub-genres? I think epic fantasy and urban fantasy can go together nicely under one name. YA? Yes, I have a few YA ideas, but they are still fantasy. Erotica? OK, I've come to terms with the fact that even though this is a great market to gain traction in and has a lot of voracious readers, I'll never be able to write straight erotica, so no problems there. If my career tanks and something really bad happens that I can't recover from? I will be going down with the sinking ship, and I'll probably still be writing once underwater. Is that a mistake? Maybe. But you can also call it part of my brand. Stubborn, for one. Dedicated, for another. Also loyal. Loyal to who I am and the name that I've carried with me on my writing journey for all these years. NEXT UP: I've decided I'm no longer going to post NEXT UPS! The post for next Wednesday isn't firm, and it seems I trip myself up on occasion because of these NEXT UPS. I'd like to be fluid if necessary and change the topic if I need to. 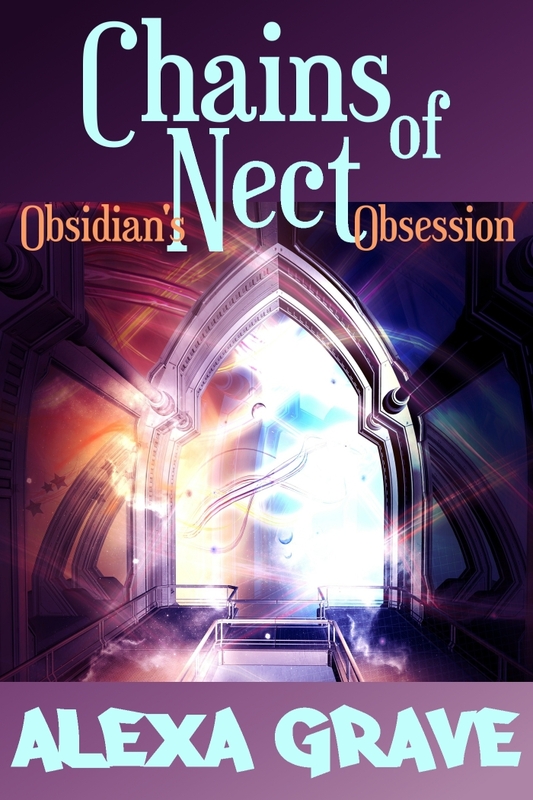 Though, you'll definitely see a chapter of Chains of Nect: Obsidian's Obsession on Saturday. Damian wasn't sure what to make of this new girl. True, she wasn't raised within these walls, but no other dedicant coming from the outside acted as she did. How had she passed the tests? She seemed too willful to become a Guardian. The tests were only part of it, though. Anyone could give the right answers if they were so inclined--the final vetting took place here, and it was his responsibility as her mentor to decide whether she had the mettle. He studied her back, straight black hair falling to her waist--clearly where she got her namesake--entranced by the portal nearest her. Her demeanor during the tour of the inside was a definite mark in the no column. However, he couldn't fault her for latching onto the sight of the gates. Everyone felt the pull of them, and some of the new dedicants had to be dragged away after seeing a portal for the first time. Obsidian seemed to look at it differently, though. He couldn't put his finger on it, but she still seemed more aware of her other surroundings, not fully caught up in the magic. Still drawn. Not consumed. And the portals had a way to consume even the most determined dedicants. They'd lost a few to madness over the years, according to his parents. He'd never witnessed such a sight--he didn't want to either. All of those thoughts weren't what bothered him most. No. She intrigued him. Something inside of him stirred when she smiled up at him--a desire for something other, something more than his cloistered life had allowed him. And such a desire could get him into trouble, steer him off of the proper path, following the precepts laid down by the Guardians. It could cloud his judgment when the time came to give his decision on whether she should move from dedicant to full Guardian. But he had years before he had to worry about that. Why was he fretting now? He'd disciplined himself to not allow his mind to wander, and here he was, following paths, wondering what ifs that had no meaning in the present. The past is gone and the future unclear--neither hold value over this moment. Damian shifted from one foot to another, unable to bring himself to break Obsidian's gaze on the portal. He'd have stood there watching her back, stray hairs getting tossed about by the breeze, if she didn't turn to him, ending the enchantment on her own. "Where to next?" The smile made her face shine. He didn't answer her at first, merely observed her radiant features, in awe that she so readily dropped the connection to the gate. Like someone who had grown up around them, grown used to their presence, knew how to quench the desire. Like him. "Is everything all right, Damian?" He'd pondered too long. This girl had him thinking and wondering more than he had since he was a child. "Sorry, yes." He clasped his hands behind his back. "It's a bit of a hike to the center, but it's time to present yourself to the Council." Her smile faded. "Already? I didn't think I had to do that until after my studies were complete, when they make the final decision on whether I'm to become a Guardian or not." "They see all new dedicants upon their arrival. Tests and Guardians in the field can only assess so much--the council members have a tendency to see things that may have been missed." And if they saw what Damian did, she'd be turned out immediately. No reason to worry about his future decision, just as the precept dictated. Why fret over something that may never happen? But part of Damian hoped the Council would miss what he saw, would approve of Obsidian as she was, so he'd get to know her better, have time to unravel the puzzle that stood before him. It was a hope that went against too many of the precepts. He knew it would be better for him and everyone within the House of Portals if she no longer graced the halls. But he didn't want to accept that. A couple hours with this girl, and his mind was addled. She had him not thinking straight, not thinking proper. It was as if she carried a magic of her own. Like the portals. "Well, then," Obsidian said. "Let's go." Damian nodded, afraid to open his mouth. He had to stop thinking so much. She walked by his side as they made their way to the central building, weaving around the gates. Knowing the path around the portals better than the lines in the palm of his hand, he was able to watch her, taking occasional glances so she wouldn't catch him staring. And what he saw unsettled him even more. Most dedicants would gaze at each gate they passed, feeling the tug of each and every one of them, trying to listen to the call. But Obsidian looked straight ahead, likely at the council building, ignoring arch after arch. And she slowly changed from the person he greeted at the door and guided around the main building. She stood up straighter, her chest more prominent under her white blouse, and her pace became smoother, as if she was gliding, her multi-colored skirt shifting with her step like it was part of her. No hint of a smile played on her lips. She wore the stern and confident look of a Guardian, not a mere dedicant. If possible, her eyes grew darker, full of power. In this shift of bearing, Damian saw the woman that had been hiding underneath the girl. And now he wondered which facade was her true form. He walked next to a shapeshifter--the change seemed so distinct that that was all he could think of to describe it. The puzzle only grew more complicated with this revelation. She didn't speak a single word on their trek. No more endless questions, no more prying into his personal business. The bored look she had during the tour had been replaced by pure determination. This was a woman who had what it took to be a Guardian. Or so much more. They reached the council doors, and Damian opened them, motioning her inside. "After you." "Thank you." Obsidian stepped inside and vanished into the shadows. He took a deep breath and followed her in. The council building was designed much like the main one. It was circular, a hallway, which included several chairs along the walls for those waiting for a meeting, wrapped all the way around the circumference. They had to walk halfway around the circle to reach the entrance to the central council chamber. Bear stood guard at the door, a middle-aged Guardian who Damian disliked. He'd overstepped his authority with his parents on more than one occasion, which is why he now was stuck with the boring duty of watching the council room door. "Greetings," Damian said. "I'm here to present Dedicant Obsidian to the Council." He'd prefer not to be civil with this man, but he ranked higher. Those below must respect those above. "It's about time you got here. You shouldn't have dallied." Bear opened the door and sneered at them as they walked past. Damian had only done as was expected of him--no dallying involved. He suppressed the desire to accidentally tread on Bear's foot in passing. His name suited him all too well. They entered the stuffy meeting room, no windows to allow the breeze in. The worst room in the House of Portals. And the last time Damian had been here was during his own raising from dedicant to Guardian. It was torture then, unsure if he'd be accepted or tossed out of the front doors to deal with the entirety of Nect on his own, the stuffiness had made him feel like he was choking. The five council members sat on the other side of the room behind a long desk, shuffling through papers. He didn't know how they could stand to be shut in this room for extended periods of time. Perhaps they'd gotten used to the sense of claustrophobia. "Ah, perfect timing." Councilwoman Liss stood from her seat in the middle and beckoned to them. "Guardian Damian, you may stand off to the side, back by the chairs. Dedicant Obsidian, please stand before us." She sat back down. Obsidian didn't hesitate. She glided across the room, situating herself before the now intent council members, papers before them forgotten. It was as if all five gazes bolstered her strength instead of making her quiver as they should. She bowed her head in respect. "Welcome to the House of Portals," Liss said. "You wish to become a Guardian, Obsidian?" Such a simple question, but one easily stumbled over. Damian was never asked--he was born here, and he was expected to follow in the footsteps of his parents. And he was raised with the need to help fulfill the precepts, to protect all gates from the commoners. No good would come if someone found a way to open one, if they didn't go crazy first. "To maintain the order set down by all Guardians before me," Obsidian said. "To protect those in Nect who cannot protect themselves from the magic." Words expected of a dedicant, but the strength was in the delivery. She spoke with conviction, as if it was an affront that the question even had to be posed of her. An amazing transformation indeed. The caterpillar who had chattered in his ear existed no more. The five council members watched her, gazes boring deep into her soul, looking for any twitch, any indication that she wasn't sincere, that she might crumble in her attempt. Damian was just glad they weren't looking at him like that--it had been all he could do to stay firm when they did the same to him at his graduation. Liss turned her stare to him, as if she had heard his thoughts. "And you, Damian? You've spent a short time with Obsidian. Any observations? Do you think she belongs here?" Acid climbed up his throat. Her gaze was hard enough to bare, but he hadn't expected to answer such questions. This was his first time as a mentor, having only become a Guardian a year ago. And how should he answer? He should tell them what he'd seen. A silly, giddy girl who didn't seem to be serious enough for the task. Then the metamorphosis, as she shifted right before his eyes, preparing to show her best face to the Council. Yes, he should tell them. Obsidian looked across the room at him. He tried to find pleading in her eyes, but there was none, only a distant consideration. Her fate was in his hands, sooner than he expected it to be, and she didn't feel the need to beg for his blessing. Damian swallowed the bile pooling under his tongue. "As you see here, she'll make a perfect Guardian." His heart thudded in his chest, faster and harder than he'd ever felt it beat before. He'd just lied to the Council. Well, a lie of omission. Surely the woman before them would make a perfect Guardian. But he couldn't push down the need to learn more about her, to figure her out, to discover just what it was about her that made his mind unravel. To discover her magic. The truth in all things. Didn't that also mean he should find the truth about Obsidian? He had to convince himself of that, or he'd have to admit that he just took the first step in the opposite direction of the precepts.